The Union Health Ministry today issued an advisory in view of the severe air pollution in the city, asking children and persons with breathing difficulty to not venture out in the open. 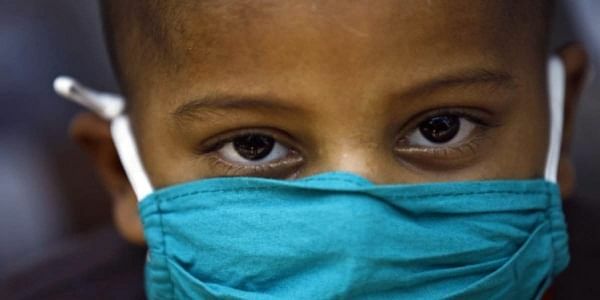 NEW DELHI: The Union Health Ministry today issued an advisory in view of the severe air pollution in the city, asking children and persons with breathing difficulty to not venture out in the open. It also advised people to drink plenty of water and fluids, as a thick smog continued to hang low across the national capital. "People should remain indoor if they have breathing difficulty and also try to keep children indoor, as much as possible. People should avoid morning walk or any other strenuous outdoor activity that increases breathing rate," it said. In the wake of pollutants touching calamitous levels, Delhi authorities have declared that schools be shut till Sunday, while also banning construction activities and entry of trucks in the city. The smog, which triggered near-zero visibility at several places and accidents on highways, is a mixture of carbon monoxide, particulate matter such as PM2.5, PM10, ground-level ozone and oxides of nitrogen and sulphur dioxide, the Delhi government earlier said in a health advsiory. The central government in its advisory also asked people not to smoke any tobacco product, indoor as well as outdoor, and minimise the use of deodorants and room sprays as much as possible. The advisory also asked people to avoid areas enveloped in smoke or heavy dust. "In case of heart ailments or chronic respiratory disease or asthma, people should continue their medication as advised by their physician. If people have difficulty in breathing, increase in breathing rate, palpitations or severe bout of coughing and/or sneezing, they should consult for medical assistance," the advisory said.